Today’s enterprises are embracing the cloud and APIs, and that is changing their network and application security needs. While standalone Web Application Firewall (WAF) appliances still provide powerful on-premises protection, companies rolling out digital business initiatives are clamoring for protection for applications hosted in multiple clouds, or a combination of hosted and on-premises. Enterprises are also demanding API protection services to ensure greater protection for their web applications. According to Gartner, the market is moving from WAF and cloud WAF towards a new standard the analyst firm defines as WAAP — cloud Web Application and API Protection services. By 2023, more than 30 percent of public-facing web applications will be protected by WAAP services that combine DDoS protection, bot mitigation, API protection and WAF. Key takeaways from this Gartner report include: - What core features define a state-of-the-art cloud WAAP service; - What future capabilities cloud WAAP services are adding; - The key risks IT must anticipate when evaluating a cloud WAAP service. Digital business is changing quickly — and so are the technologies safeguarding them. 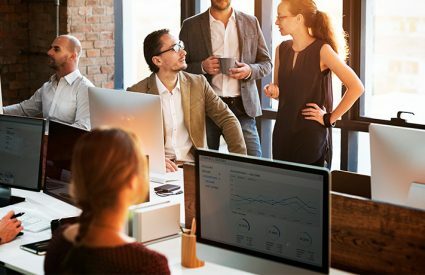 This report from Gartner provides an essential guide for any security and risk manager looking to stay current with evolving security needs and solutions. © 2019 Gartner, Inc. and/or its affiliates. All rights reserved. Gartner is a registered trademark of Gartner, Inc. and its affiliates. This publication may not be reproduced or distributed in any form without Gartner's prior written permission. It consists of the opinions of Gartner's research organization, which should not be construed as statements of fact. While the information contained in this publication has been obtained from sources believed to be reliable, Gartner disclaims all warranties as to the accuracy, completeness or adequacy of such information. Although Gartner research may address legal and financial issues, Gartner does not provide legal or investment advice and its research should not be construed or used as such. Your access and use of this publication are governed by Gartner Usage Policy. Gartner prides itself on its reputation for independence and objectivity. Its research is produced independently by its research organization without input or influence from any third party. For further information, see "Guiding Principles on Independence and Objectivity."